Brand: CK Products 77-2473 Units: 1.5 oz. tube Transparent colored piping gel in convenient tubes, ready to use for decorating. 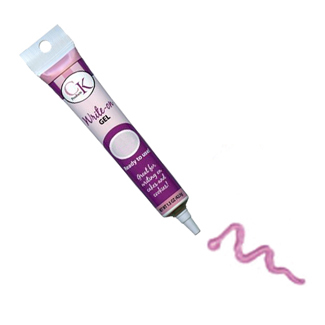 Transparent colored piping gel in convenient tubes, ready to use for decorating. Ingredients: Sugar, Corn Syrup, Water, Agar Agar, Tartaric Acid, 1/10 of 1% Benzoate of Soda, Potassium Sorbate as a Preservative, FD and C Red 3.